Welcome to Darling Meat Market. Value added products, Smoked products, Spiced & marinated products, Fresh & smoked products, Fresh & pickled products, Cold meats, Deli cold meats. 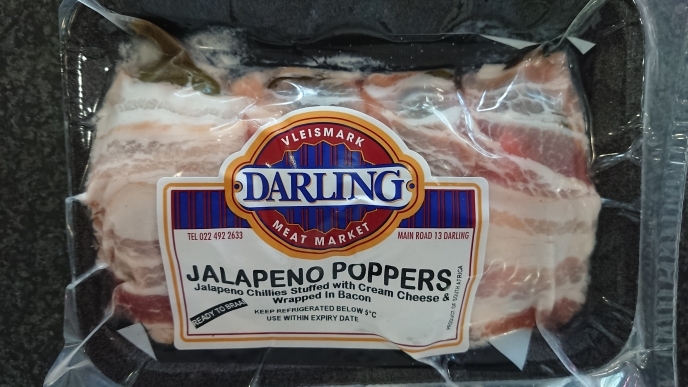 Darling Meat Market is the perfect butcher to stop on your way up the West Coast to stock up on the best quality and value for money prime cut beef, Karoo lamb, farm fresh chicken, juicy boerewors and a multitude of other products the headline any meal. 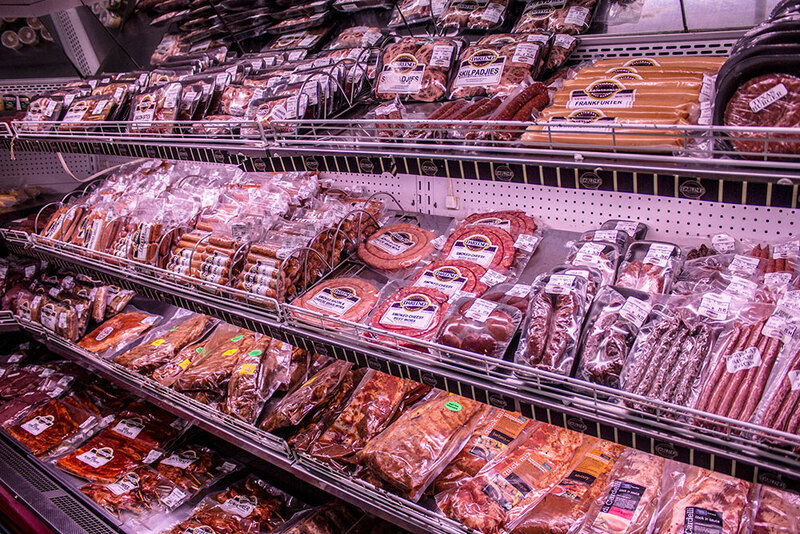 Our Butchery is the perfect place to stop on your way up the West Coast to stock up on the best quality and value for money prime cut beef, Local lamb, farm fresh chicken, juicy boerewors and a multitude of other products the headline any meal. 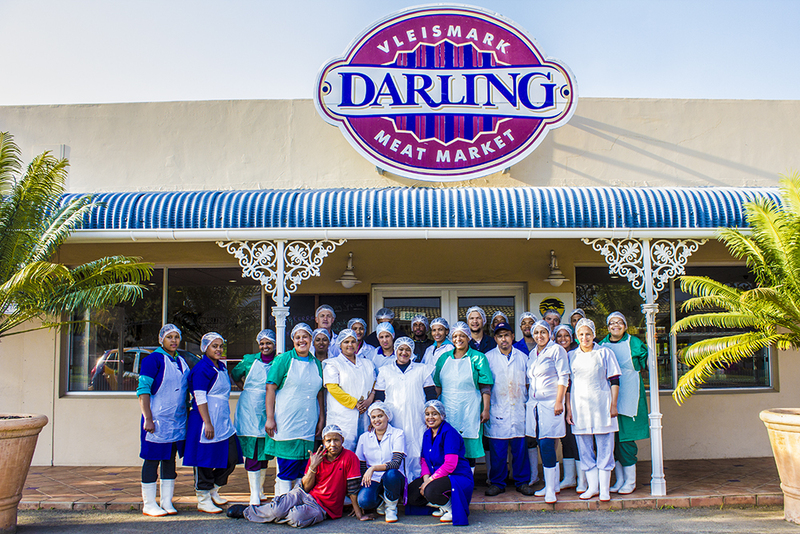 Darling Meat Market is an ordinary-looking butchery on the ordinary-looking main road of the little West Coast village of Darling. But behind the scenes a meat-processing operation, the scale of which, for a dorp this size, is extraordinary. In the factory section of the spotless meat market, a staff of 35 men and woman in hygienic mopcaps turn out meat products destined for more than 100 Spars in towns as far as Upington and other shops in the West Coast area. Four days a week two delivery trucks go off packed to the hilt. 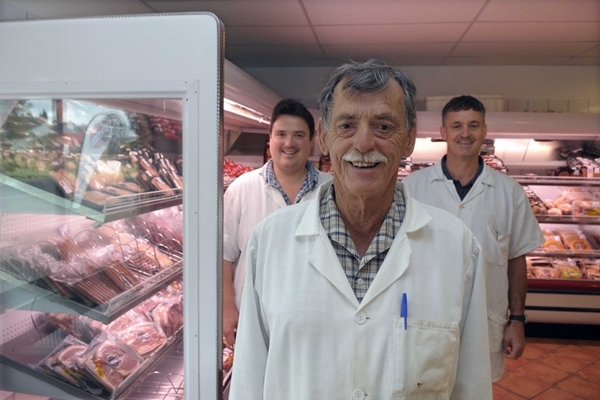 “This was just a tiny butchery when my father came here to retire in 1982,” says Stephen Kriel, who with his brother Kevin, bought the business form Parker Kriel in 1999. “He had a huge butchery in Bonnievale near Robertson, but decided to come to Darling, where his sister was living. Instead of retiring, however, Parker was soon doing deliveries with his car every Wednesday to Cape Town.”Butchery is in his blood,” says his son. “His father, James Kriel was one of seven brothers who were all butchers. We are now the 4th generation. Now in his late 70’s, Parker still works in the butchery on Fridays and Saturdays, and visits its township branch every day. It remains very much a family business. Stephen’s wife, Susan, has taken over the bookkeeping from her mother-in-law while Kevin handles everything to do with computers and the all-important spices. 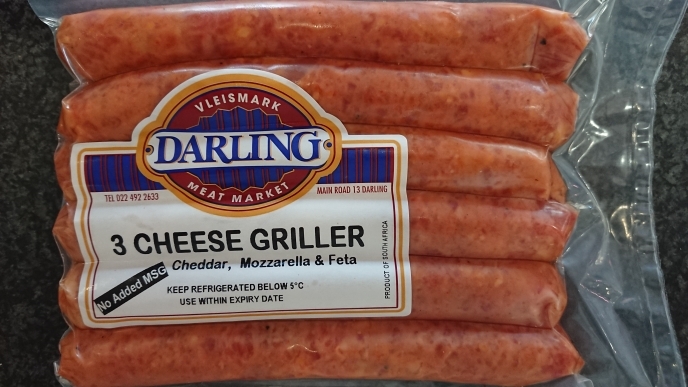 But it’s Darling Vleismark’s boerewors that is the biggest seller. “We do about 5 ton every month. The secret is the fresh meat. Other people add their junk and their offcuts.” They buy in meat from Cape Town. Darling doesn’t have enough. Dedication must have something to do with it as well. In season, the Kriel brothers are usually at work by five in the morning and don’t leave much before eight or nine at night. With Cheddar, Mozzarella & Feta. Bacon Bites – Bacon kebab in sweet and sour marinade. Beef Kalahari kreef – Beef wrapped in bacon. Kalahari Braai Pack – Smoked pork neck. Bacon & cheese griller. BBQ spiced pork strip. Kudu Kalahari kreef – Kudu steak wrapped in bacon. Oepsies – Bacon on a skewer in sweet and sour marinade. Pork Kalahari kreef – Pork fillet wrapped in bacon. Kalahari Prawns – Chicken fillet wrapped in bacon.